On Friday morning, 25 people become citizens at the Cesar Chavez National Monument. BAKERSFIELD, Calif. — Friday morning, 25 people were sworn in as new citizens of the United States of America. 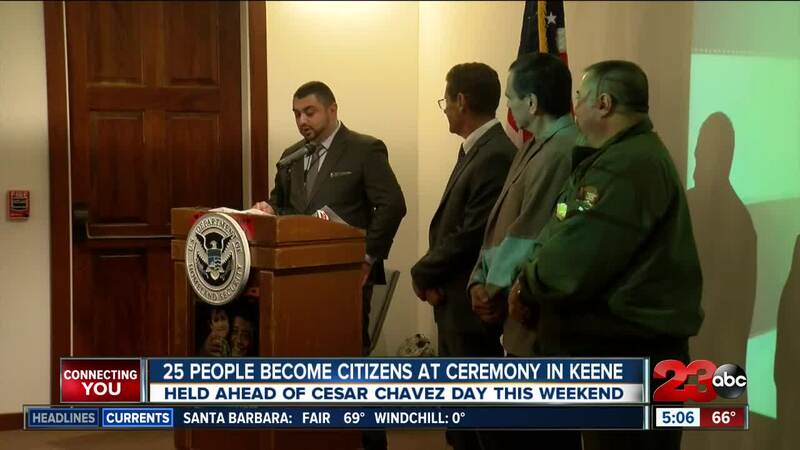 The naturalization ceremony took place at the Cesar Chavez National Monument. The Keynote speaker, Raul Moreno with the Education and Leadership Foundation, gave an inspirational speech about his challenges and reminded every single person to be proud and to remember to exercise their new rights. All 25 new citizens come from different backgrounds: Colombia, Mexico, India, Syria and the Philippines.